2206 Winfield Dr. Sooke Oceanview Brand New 4 Bedroom Suite in Sooke! The 4 bedroom suite of this house is exquisitely finished and includes an open concept living room/kitchen/dining with gas fireplace and built in storage which has gorgeous live edge shelving, bathroom, 1 bedroom, double garage and fenced back yard on the main. Newer Strata Duplex in Sooke! The 4 bedroom suite of this home is beautifully finished at approx 1806 sq ft + 402 sq ft garage and includes an open concept living room/kitchen with an electric fireplace and ductless heat pump, half bath, 1 bedroom, single car garage and fully fenced back yard and covered patio on the main. 6947 LarkspurThis 1645 sq ft RANCHER is fairly private as it sits closer to the back of the property! It includes 3 bedrooms plus a den (bedroom), living room and separate dining room, 1 main bathroom and a half bath in the laundry room. 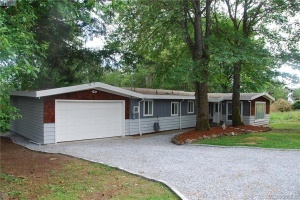 Large garage and private wooded backyard off the back deck. Tons of parking in the driveway. Close to shopping, bus route and schools. 402-2234 Stone Creek Pl, SookeLuxury townhouse with ocean views at The Rise in Stone Ridge Estates. Exceptionally built in all aspects from the hand-finished wood floors, quartz kitchens, stainless steel appliances, natural gas stove, nine- foot smooth ceilings throughout,heated bathroom floors and the stunning views of the Sooke Harbour,the Strait of Juan De Fuca and the Olympic Mountains. Lower 7041 Maple Park TerraceThis brand new lower 2-bedroom lower suite offers bright open concept living, with its own private entrance and fully covered patio! This suite has a full bath with tub/shower combo. 2515 Sooke Road- Lower$1400 - $250 Flat Rate UtilitiesAvailable March 01, 2019Small pet considered 2 Bedroom 1 Bathroom Above Ground suite with Large Family Room.Shared spacious yard with a greenhouse and garden beds. One full bathroom as well as In suite Laundry. Located minutes from Westshore Town Centre. Small Pet Considered and a $250 Flat Rate for Utilities. 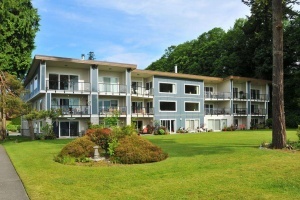 312-2059 Kaltasin Rd, Sooke$1350 per month plus utilities $675 security depositAvailable now! Small Pet negotiable - $675 deposit upon approvalNo smoking!SOOKE - OCEAN FRONT CONDO1168 sq. ft., 2 br, 1 bath Top floor, corner unit, Ocean front condo.Unobstructed Ocean views from the main living area. Bright and openliving/dining room, spacious Master BR. Lower 1994B Kaltasin, Sooke V9Z 0C2Quiet, bright, adult oriented (55+), open concept 2 bedroom, 1 bathroom ground floor suite. Short walk to the beach. Separate entrance, carport, shared laundry, wood burning fireplace, gorgeous landscaped backyard for your viewing pleasure.